Bellabox is coming to the Philippines this February! There are lots of beauty boxes that gives the excitement to every beauty blogger, be it in the Philippines or around the world. Do you wonder how it feels to be receiving a monthly subscription box full of beauty and skin care products? Then you might be interested on this one. As far as I know, there are three companies that is offering a monthly subscription box here in the Philippines: BDJ Box, GlamourboxPH, and SaladBox. 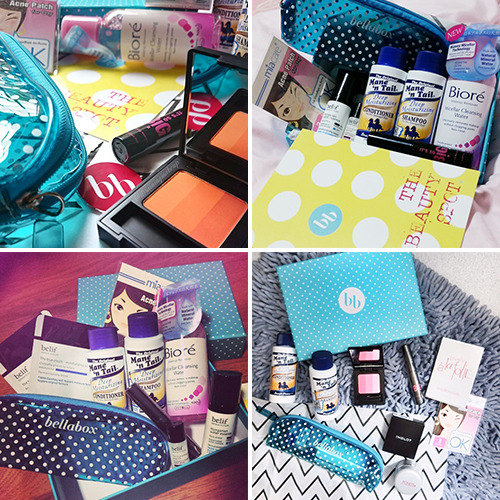 Wouldn’t it be nice to add more excitement for all beauty bloggers out there? Bellabox Asia will be coming to the Philippines this February! Bellabox was started by a group of young women just like you. We loved buying beauty products and looking good, but were sick of the hassle of going to department stores every time we wanted to try out a new moisturizer, eyeliner or fragrance. Based on your personal profile, the team at Bellabox handpicks the latest, deluxe beauty products and sends them straight to your door each month. Bellabox has links with all the top cosmetics companies from London to New York and Paris giving you access to the hottest products to hit the market. Each Bellabox contains 5 carefully selected products, ranging from the newest lip-gloss to high-end shampoos, makeup, new product innovations (Yes you can be the first to sample the newest scientific breakthroughs in beauty) and much much more!